The Icemaster Glycol Chiller/Icebank G40 is a commercial grade compact chilling dispensing solution. The G40 offers high performance for small to medium volume customers. 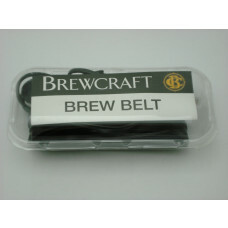 It suits small bars, cafés, restaurants, serious home brewers, and nano breweries. The Icemaster will help cool a single fermenter of up to 500L capacity, or up to four home brew sized fermenters at one time. It also comes with flooding impeller pump as standard, all enclosed inside the unit for efficiency and ease in transport. The G40 is also completely enclosed including the removable lid, this will aid in cooling performance due to less heat loss. 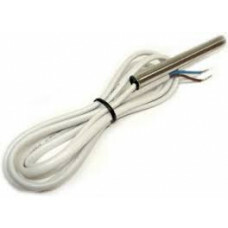 The 8mm 304 stainless tubing is ideal for compression fittings to 6mm barbs for product lines located at the side of the unit making them easier to install under commercial bar tops where height restriction is limited. Ideally suited to be used for a glycol system, but can be used as an icebank instead. 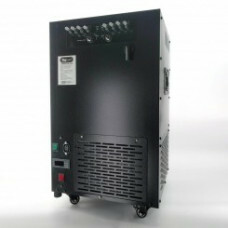 The G40 unit uses an STC-1000 temperature controller to control the temperature. Note: this is for the unit only, it does not come with attachments for the lines such as compression fittings, tubing for product and chilling lines, or polypropylene glycol.